Bjelica, 30, began his professional career in 2007, playing for the Arkadia Traiskirchen Lions of the Austrian League. He was drafted by the Minnesota Timberwolves three years later with the No. 35 overall pick in the 2010 NBA Draft. But, Bjelica didn't come to the NBA until 2015 and became a star in Europe. The forward was named EuroLeague MVP for the 2014-15 season where he averaged a career-high 12.1 points per game. "I was drafted in 2010 and I enjoyed Minnesota for three years. 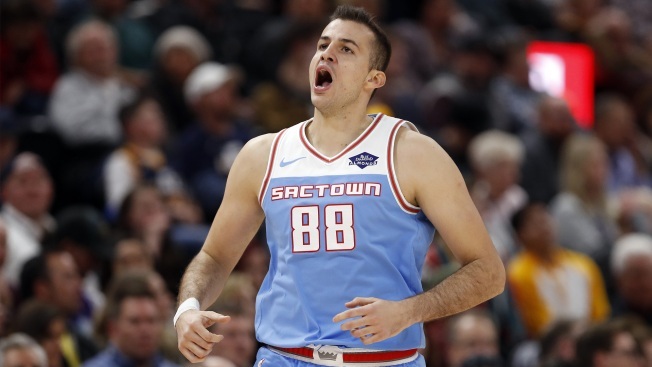 And now in Sacramento, it's like a new chapter," Bjelica said. Playing a career-high 77 games (70 starts), Bjelica averaged 9.6 points and 5.8 rebounds per game this season for the Kings. Both were career bests.